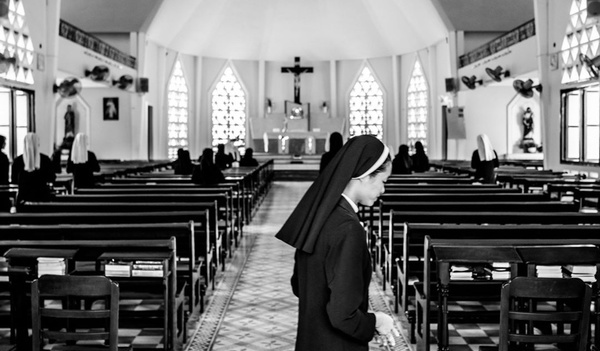 An afternoon mass at the Lovers of the Holy Cross Convent in District 2, Saigon. "It may be yet another on the list of aged and beautiful buildings to fall victim to progress in the not so distant future", the caption reads. Photo by quinnryanmattingly on Instagram. 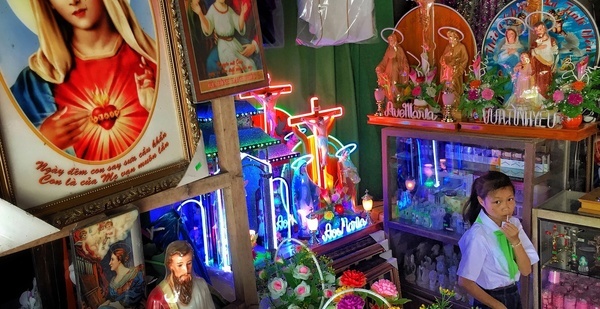 A little girl enjoys her lollipop after the Sunday Mass at a Catholic store near Phat Diem Stone Cathedral, Ninh Binh. Photo by phamhaduylinh on Instagram. 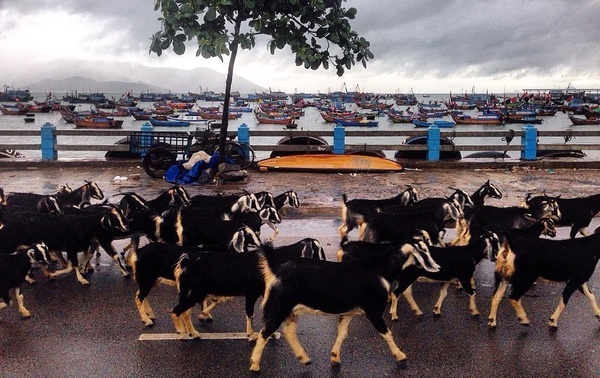 A rainy day in Vinh Luong fishing village, Nha Trang. Photo by chencocot on Instagram. 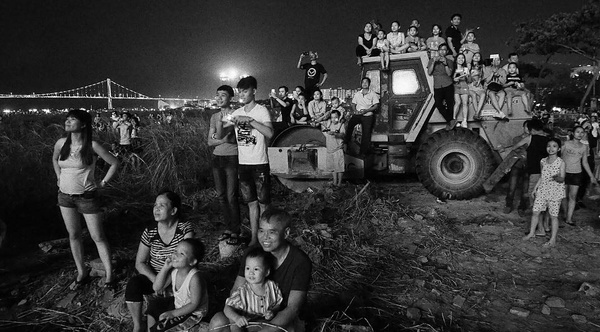 People watching International Fireworks Festival in Da Nang. Photo by linhsuzu on Instagram. 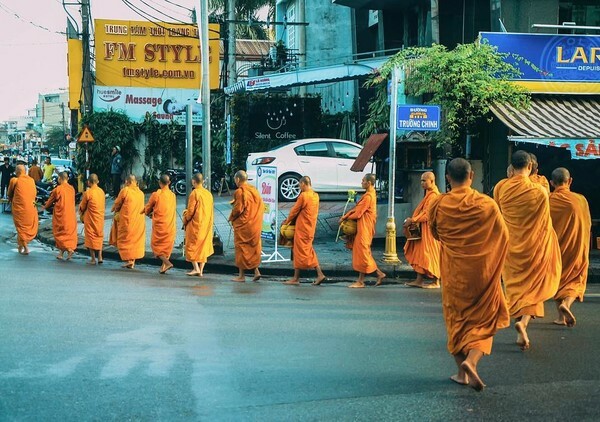 Buddhist monks walking on the street of Hue province to collect food for the day. Photo by nguyen.duchuyy on Instagram. 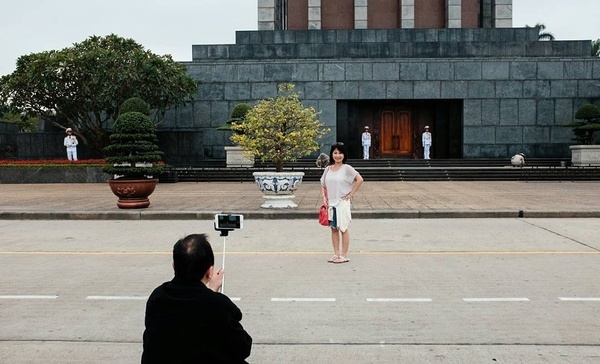 Tourists posing for photos at the Ho Chi Minh Mausoleum, Hanoi. Photo by iambidong on Instagram. 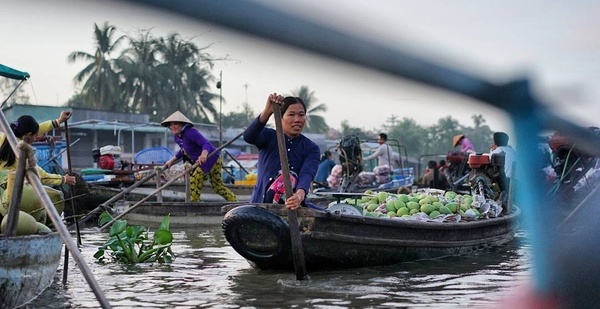 A mango vendor paddles through the Phong Dien floating market, somewhere outside Saigon. Photo by somewheresaigon on Instagram. 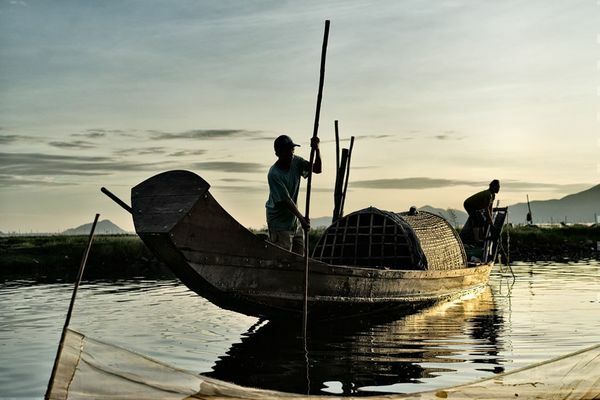 Morning in a fishing village in Tam Giang, Central Vietnam. Photo by leestarnes on Instagram. A portrait of of an old man in Hoi An. Photo by picsofasia on Instagram. 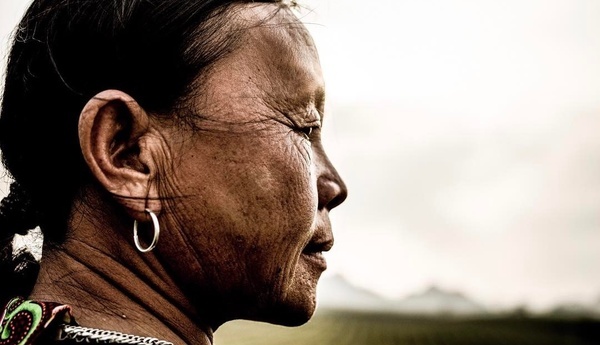 A portrait of a tea farmer in Mai Chau, Vietnam. Photo by askmott on Instagram.